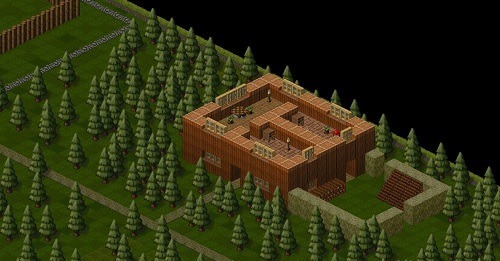 Towns had the honour of being one of the first games to be released based on the Steam Greenlight program. The game offers an interesting mixture of strategy, city building and role playing which is available on both PC and Mac. In Towns players are in charge of their own settlement which as luck would have it just so happens to be above a very active and dangerous dungeon. In Towns you won’t be the one going down into the depths to slay the various foes down there but instead be focusing on providing the infrastructure to support these heroes. Based on the buildings that you offer you’ll start to attract a large number of adventurers that want to try their luck at investigating the dungeon beneath your settlement. This is where the role playing features start to develop with heroes gaining experience, skills and loot as they move through the dungeon (and then returning to you to rest up for their next battle). Returning adventurers will also want a place to sell their randomised finds and better equip themselves for the tasks ahead so players will get to be on the other side of the fence. In terms of what gameplay actually involves players will be focusing much of their time building up their settlement by issuing orders to gather resources (such as chopping down trees or mining ores from the dungeon below). Once you’ve got your resources players can design the outside areas of a building and then can set zones within the building itself for shops, merchants, furniture or workbenches for adventuring heroes. There really isn’t an experience out there like Towns with its mix of many game genres into one. The experience is definitely fun aside from a few bugs and brings plenty of depth to the table. You are in charge of a settlement on top of an active dungeon. Attract the very best adventurers to help you protect the town. Watch as your heroes gain levels, skills and items. Plenty of depth and replay value. This game is famous for being one of the first steam green light games and the one that made them change the program. The creator basically released the alpha, collected a bunch of money to continue working, then dropped the project. The green light program had to be changed to keep creators from doing something like that again. This game is full of bugs that are never going to get fixed, and becomes humdrum pretty quickly.